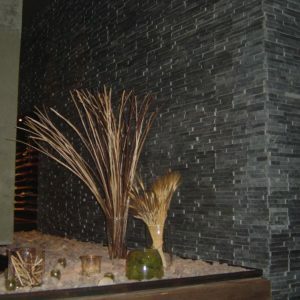 Natural stone veneer in Denver is also often referred to as ledge stone, and offers the look and protection of full-dimensional stone construction, but at a fraction of the installation time and cost. Haul and install product faster with lightweight, natural stone veneer, significantly cutting down labor time and costs compared to whole stone installations. Add dimension and personality with hand-laid or stacked stone, dressing up a single room or an entire facade. Properly prepped and installed, natural thin veneer looks nearly identical to full-dimension stone – without all the weight!. A thinner, lighter alternative to heavier full-dimensional stone, thin stone offers the same authentic color palette and elements-resisting surface as whole stone, with far more durability and versatility than its artificial stone veneer counterpart. 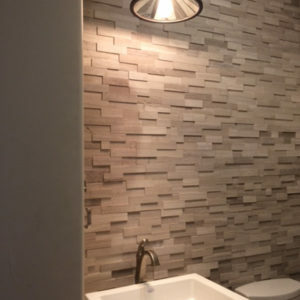 For contractors and builders, the weight of natural stone veneer offers a fantastic option for non-loadbearing walls, as well as wood-framed structures. With their slimmer profile, natural stone veneers also work wonders for projects with limited space or clearance issues. Available in an array of colors from classic ledgestone to multi-toned varieties, slate natural stone veneers from PetraSlate are sourced only from the deepest parts of the best quarries, ensuring high-quality coloring and density that will outlast any structure. The PetraSlate warehouse maintains an eclectic inventory of travertine stone veneer, as each variation in texture and shade creates significantly different results from the soft appearance of honed varieties to the worn, natural appearance of split-faced versions. Not sure what we mean? Nothing beats viewing options in-person at our Denver PetraSlate showroom. From the traditional lighter hues of limestone and marble, to the dramatic effects of blue, zebra, and even wood-like options, if you’re looking to achieve a dramatic impact on any project, limestone and marble stone veneers make any project look unique. 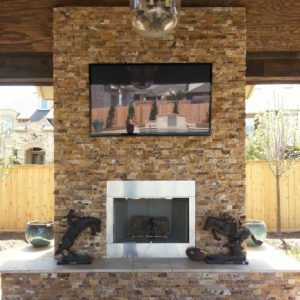 Lighten your load with beautiful, durable stone veneer in Denver. Contact PetraSlate Tile & Stone today.